The main factors affecting fleet management costs are the size of your fleet, the type of vehicles you need, and the level of functionality you require. Tax is an ongoing cost for fleet managers. Vehicles are subject to various different taxes dependent on their age, make, model, and a variety of other factors. Electric vehicles, vehicles used by disabled passengers, and vehicles used for agriculture, horticulture and forestry are exempt from VED. Calculate vehicle tax rates at Gov.uk. Fuel is a major contributor to the overall cost of your fleet, but it can vary wildly depending on current fuel prices, the condition of your vehicles, and how they are driven. Diesel used to be the top choice for fleet owners, thanks to its superior efficiency and lower CO2 emissions. But it’s been under the spotlight over the last few years for its harmful emissions, which can cause asthma attacks and even contribute to lung cancer. But as modern diesel cars have filters, this is contested by the motor industry. Nevertheless, sales of diesel-fuelled cars have seen a sharp decline (-17% between 2016 and 2017). One thing you need to be aware of is that the method by which the government estimates fuel consumption per car has changed. The New European Drive Cycle (NEDC) has been replaced by the World Harmonised Light Vehicles Test Procedure (WLTP). The WLTP has been created to give a better indication of vehicle performance on fuel economy and emissions. It takes into account higher speeds, aggressive braking and acceleration, as well as optional equipment such as bigger alloy wheels and lower suspension. Vehicles that have been through WLTP show around 20% higher consumption and emissions, which could put them in higher tax bands (such as BIK) and increase costs for your business. 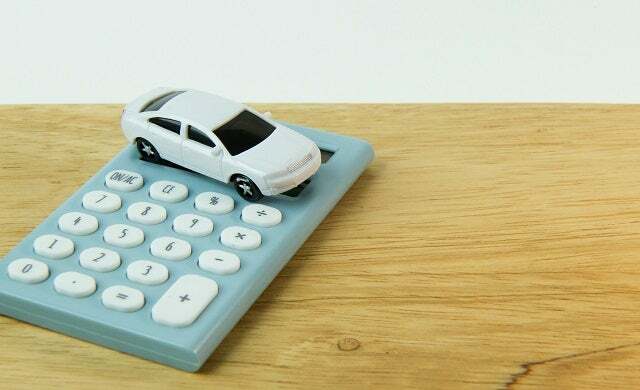 Because testing is ongoing, VED and company car tax will continue to be based on NEDC figures until April 2020. For the time being, these changes won’t have an impact your fleet. And more accurate government figures should make budgeting for fuel costs even easier than ever. Fuel cards are a flexible and efficient payment method that take the hassle out of paying for a fleet’s fuel. Your employees use them like a credit card, with the bill settled at the end of every month. Small businesses can also use fleet cards to monitor vehicle consumption and restrict certain types of purchases. Many providers offer contracts that can be tailored to the needs of your fleet, and there are a number of different pricing plans. An annual card fee of around £18 is typical, but this can be lower or higher depending on the size of your fleet. Some providers enforce a minimum spend of around £1,000 per month. Find out more about fuel card costs here. You are legally required as a business to make sure all your fleet vehicles are insured. Luckily, if you have more than one vehicle, there’s a fleet insurance policy out there for you. Fleet insurance is a much better option for fleet owners, as it works out cheaper than insuring each vehicle individually. You’ll also save time on admin, but don’t forget to update your policy if circumstances change. Most policies will set a minimum and maximum number of vehicles, and not all policies will cover all types of vehicles,. Keeping your vehicles in good condition – with regular checks on tyres, brake pads, oil etc. No matter how careful and economical your drivers are, vehicles are complicated machines that need a bit of TLC every now and then. Vehicles that aren’t subjected to a regular SMR regime pose a risk to drivers, pedestrians, and your business. How you go about this will depend on whether you have leased or bought the vehicles outright. However, you will be paying for maintenance whether you use it or not, and the true cost will be hidden within the overall lease rate. Best for: a good option for large fleets that don’t have the resources to manage maintenance themselves. The only major drawback is that it will require a lot more admin from you or someone in your company, taking up valuable time and resources. Best for: companies that demand greater control of their vehicles and maintenance. However, they can’t be used for warranty jobs, and they don’t have the capacity for larger fleets. Best for: small fleets that can cope with the necessary admin. This obviously requires a significant initial expense for building a garage, not to mention ongoing costs for staff training and equipment. Best for: a large fleet that needs to ensure vehicles are out of action for the least time possible. Providing location services, as well as vital data on driving and vehicle use, fleet management software is an essential tool for fleet owners. Research different providers to find which serves the needs of your fleet, and choose a plan that works for you. Most providers don’t publish prices, but you can contact them directly for an individual quote that will be dependent on your fleet size and needs. Learn more about vehicle tracking costs. It can be bewildering to read about the costs involved with vehicle tracking and fleet management. But a thorough understanding of these costs will help you to budget, and ensure you get the most effective and economical use out of your fleet. That’s not to say there won’t be some surprises, but preparation is the key to success.